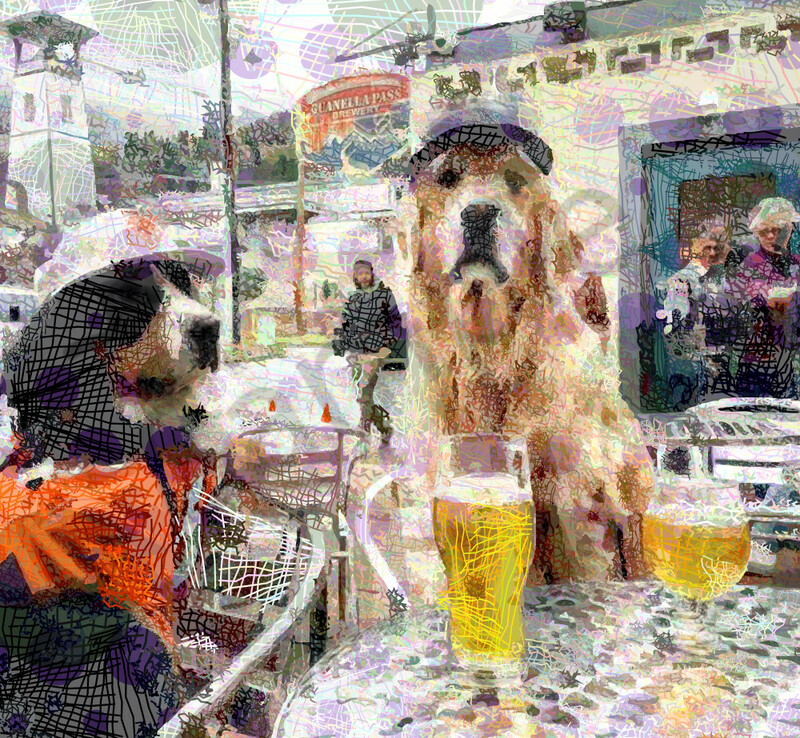 The Guanella Pass Brewing Company meets a couple of dog celebrities who stopped by to sample the delicious offerings and gave us a pose worthy of a Renoir painting which the colors are reminiscent of. Parker, a Bernese Mountain Dog, is the Official Snow Dog of Colorado. He frequently visits with the crew and friend Chester at the Guanella Pass Brewing Company in Georgetown Colorado.